Home Computers GSkill KM 570 Mechanical Keyboard Review - Best $100 Keyboard ? GSkill KM 570 Mechanical Keyboard Review – Best $100 Keyboard ? Mechanical keyboards are addictive, once you have used one there is no going back. I started using the TVS Gold Mechanical keyboard about 18 years back, it was at that point of time priced close to Rs. 1,000. (a very high price for a keyboard). You can also read about the GSkill KM 560 at the end. Mechanical Keyboards offer incredible typing experience and long life. 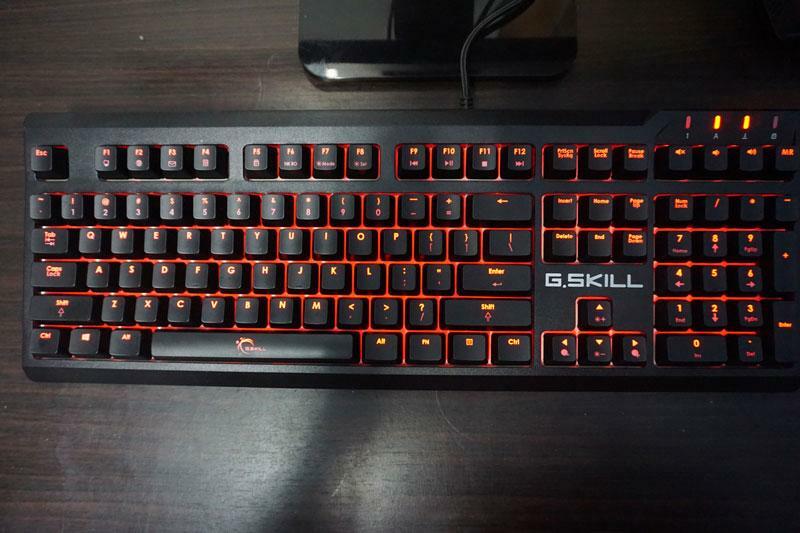 The Keyboard we are reviewed today is from G.Skill, famous for making high-speed Rams and Mechanical Keyboards. G.Skill have KM 780, a more expensive line of keyboards and the GSkill KM 570 which costs $99 or Rs. 6700 + taxes in India (Approx Rs. 7500 to Rs. 8500). It is cheaper compared to some of the Keyboards we have reviewed before like the Cooler Master Rapid-i or the Corsair Strafe Cherry MX Brown RGB Keyboard. But does it offers good value for Money and have the required features of a good gaming and typing keyboards, we will find out in this detailed review. The Build Quality is top notch and the material used to make the keys is premium. You don’t feel that it is made from a cheaper plastic or G.Skill has cut corners. Compared to some of the very premium keyboards it will feel a bit less exquisite. But there are no compromises anywhere. There is no palm rest with the keyboard, but the bottom end, below the spacebar, is slanted to make your hands rest properly. Ideal for Gamers, Writers and Programmers or if you spend more than 6-8 hours in front of the PC. The keyboard comes with Cherry MX brown keys and requires about 45 mg of actuation force to press. You can read more about the type of Keys – Cherry MX Red, Black, Brown in this article. Why and Who Should Upgrade TO A Mechanical Keyboard. 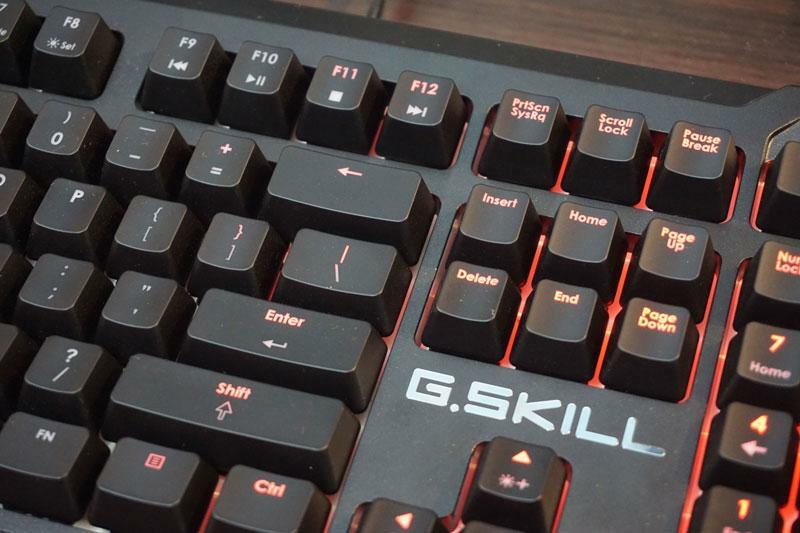 The G.Skill is quite easy on Fingers and the effort required to type on the keyboard is minimal. The Spacebar on this keyboard is more soft and better when compared to my regular Corsair Rapid i. It is important to have a great space bar: as after every word you are bound to press the spacebar. The Gskill KM 570 comes with some of the dedicated Keys which help you quickly open up Computer explorer, Internet Explorer, Calculator, pause, play, forward, volume up and down. You can check the detailed review here in this video, along with the Lighting Effects and Answer to the Key Question Should you buy the Gskill KM 570 Mechanical Keyboard. Hope You enjoyed the Video and Do share your thoughts in the comments below or if you have any questions about the G.Skill KM 570 or Mechanical keyboards. Update – I am using the G.Skill KM 570 for two years now and so far have not experienced any issues. It is a very durable and reliable product from the brand. Note- Articles was originally published in 2016 and later updated in 2018 and 2019. 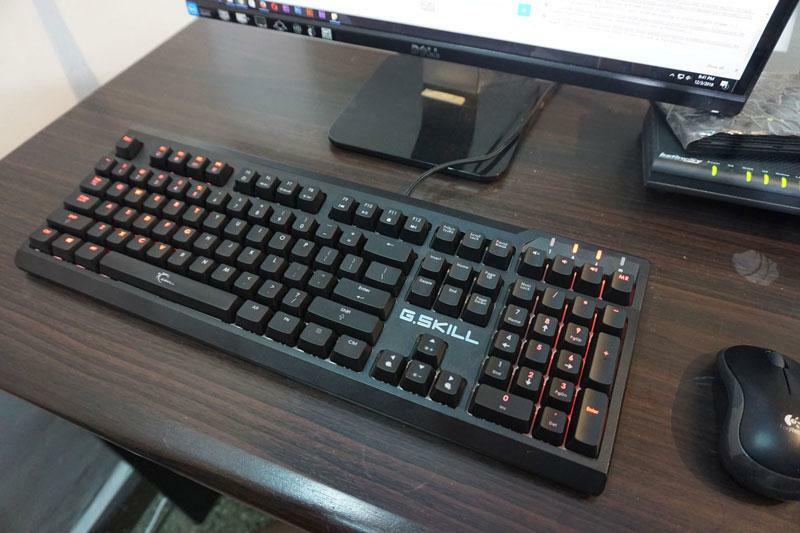 The Taiwan based computer hardware manufacturer has unveiled a new Mechanical Keyboard called as the G.SKILL RIPJAWS KM560 MX. 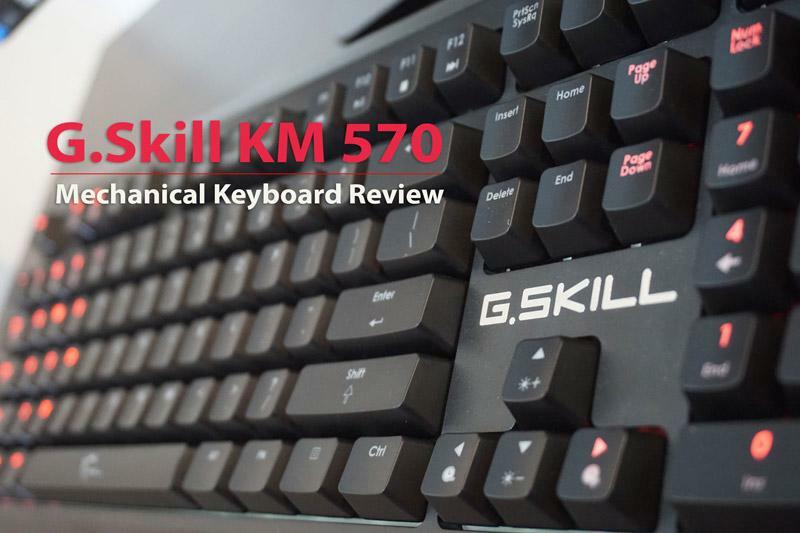 I have earlier reviewed the GSkill KM 570 Mechanical Keyboard Review which costs around $100. It is a Tenkeyless compact keyboard and comes with Red LED lighting. TenKeyless mechanical keyboards don’t have the conventional numeric pad on the right side. These are more compact and allows more space to manage the mouse for gamers. The new G.SKILL KM560 Mechanical Keyboard comes in 3 different variants with Cherry MX Brown, Cherry MX Red and Cherry MX Blue Keys. It looks very similar to the GSkill KM 570 Mechanical Keyboard Review – Best $100 Keyboard keyboard which reviewed some weeks back. If you wish to read more about the Cherry MX switches and which key switches are an idea for you can refer to this article – Why and Who Should Upgrade TO A Mechanical Keyboard. The G.SKILL KM560 Gaming Mechanical Keyboard comes with Cherry MX keys which are known for the long life – 50 million strokes and the keyboard boasts of a 2 mm responsive actuation distance. 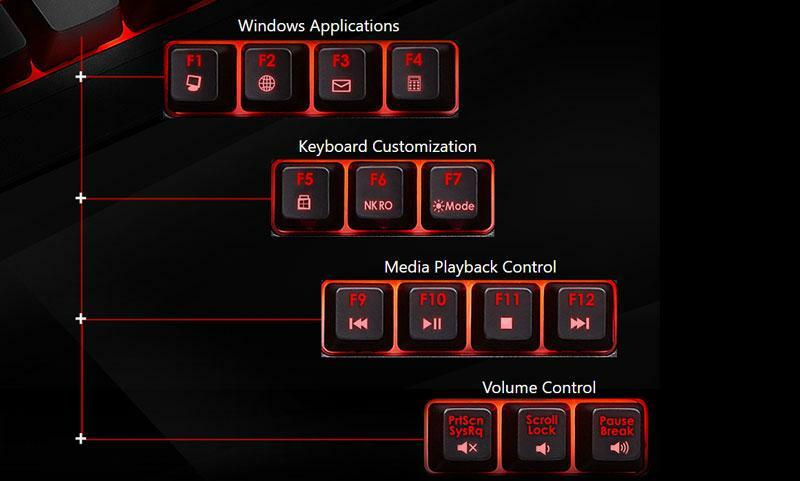 The keyboard comes with Red color LED lighting and misses on the current RGB lighting trend. The lights are customizable using the keys on the keyboard with different preset lighting profiles. The keyboard does not come with any software to manage the lighting effects instead you can simply press the Fn + F* keys to choose from the lighting effects. The Keyboard also offers customization in terms of intensive of LED light and also comes with Macro support which can record the keystrokes on the fly and can be used in game or other programs. The keyboard comes with standard features like n-key rollover & 100% anti-ghosting that enables any number of simultaneous key presses to be accurately registered while gaming. The keyboard comes with Contoured soft touch keys to help reduce your finger strain while typing and playing games for long sessions. G.Skill is yet to share the price for the KM 560, we will update as we get a word from them. We used the KM 570 and found the keycaps to be really soft and comes with excellent feedback, moreover, once you use a Mechanical Keyboard, there is no going back, ever.